Hello, hello, hello... I'm back with another post, an exciting one actually, or maybe that's just me. I love Christmas and writing festive posts, and this is no exception, in fact, this is my favourite kind of post. 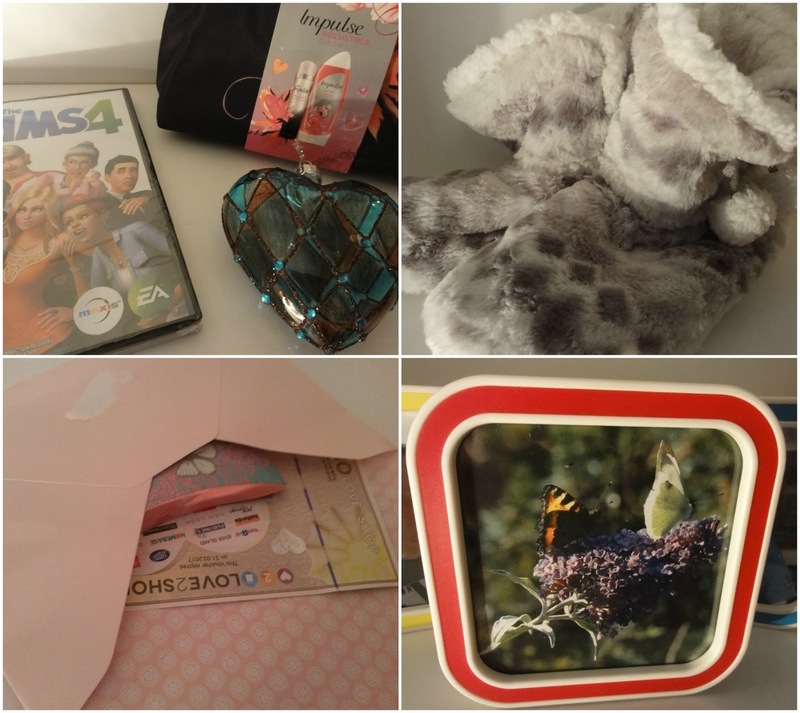 Not only do I get to share with you some sneak peaks of my Christmas but also what I received from my beautiful family. I just want to start off by saying that I am very, very grateful for everything I received and that I do have a rather large family, also, these are my favourite types of posts to read and I only hope you enjoy mine too. 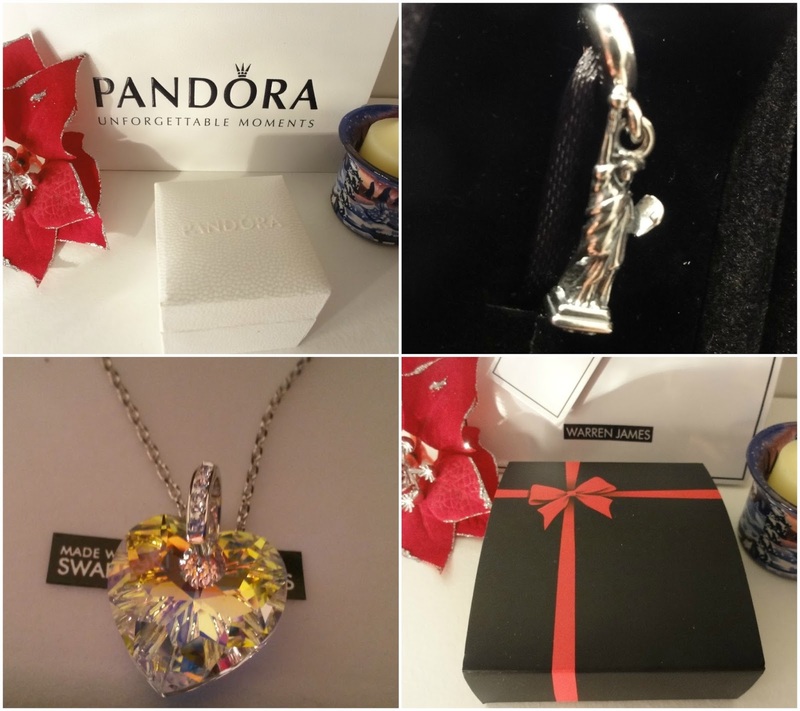 My Mum and step dad go kind of crazy, and my boyfriend was also very generous on the gifting front, not that I mind, I love presents. Just want to start off with a little update on the laptop front. I still do not know what is going on with my laptop, whether it's the actual laptop or the wire, - I have a bad feeling it's the laptop - but, on a positive note, my Mum very kindly let me borrow hers. It's nice to sit here and type this post without worrying about the wire moving slightly and shutting the laptop down completely (long story). The food was absolutely amazing. Huge credit to my Step-dad who slaved all day over an hot stove. My Mum and Step-dad got me the huge Sanctuary Spa set, Lush, and this sparkly bath wash that I have know intention of ever opening, it's absolutely gorgeous. I got TBS and MUR lipsticks off of my boyfriend and children, chocolate bear off of Jingo (the dog) and palette off of my boyfriends parents. When I saw Sims 4 had come out I immediately added it to my wishlist. I'm big kid at heart and just loved the look of how much the graphics had improved since the first ever Sims and even Sims 3. I've been playing this game since I was a child, like primary school and I love it just as much now as I did back then, I just don't get to go on it as much due to being a Mummy. I also got the set from Impulse and slippers also from my Mum and Step-dad. I was given this gorgeous glass bauble off of my boyfriends parents. Vouchers were from my boyfriends brother and grandparents. Frames from Frame again (see post here) off of my Dad. I was sent one to review and loved it so much I asked for another 3. They are magnetic too. My hairstraightners broke on a flight to Turkey all the way back in October, so I was thrilled to find these V Coral GHD's under the tree, they are absolutely beautiful and ombre. I also got this 216 piece puzzle of the Empire state building (that actually lights up. Oh, and wish me luck building this) and these weighing scales... all from my Mum and Step-dad. Chocolate was from various members of mine and my boyfriends family. I think this tells you more than anything that I am addicted to books. I buy them in bulks, they sit on the shelf for months whilst I read everything else, and the list of books I need to read never ends. These were on my list, every single one of them, and I were more than happy to receive them all for Christmas, an insane amount I know, and yes, I have bought 2 more since. I have book issues. Haha! I'm currently reading a book by Paige Toon so these will just have to wait for now. I got the majority from my Mum and step-dad and my boyfriend/children. I got Waterfall by Lauren Kate off of my partners Mum and Dad, I think. 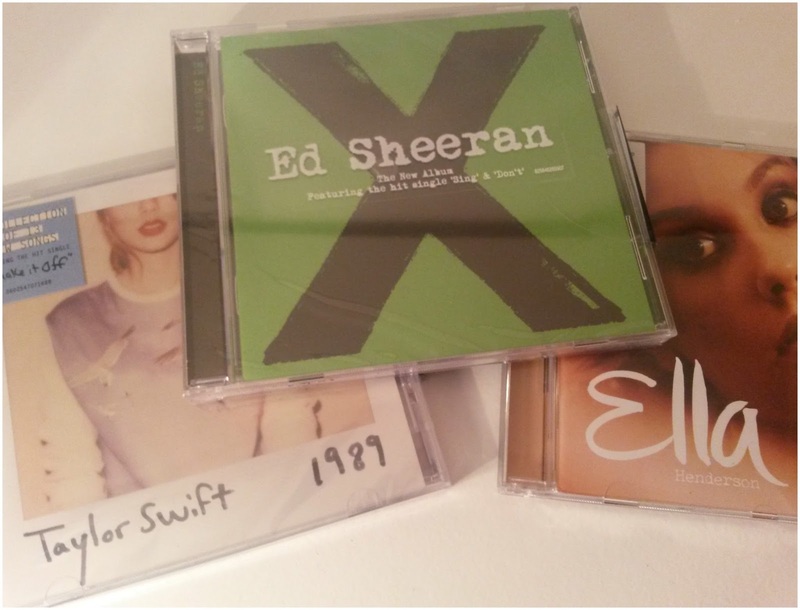 Can't tell you how thrilled I were to unwrap Ed Sheeran and Taylor Swift. I'm going Newcastle, again, next month, and I will be singing away in the car to these. 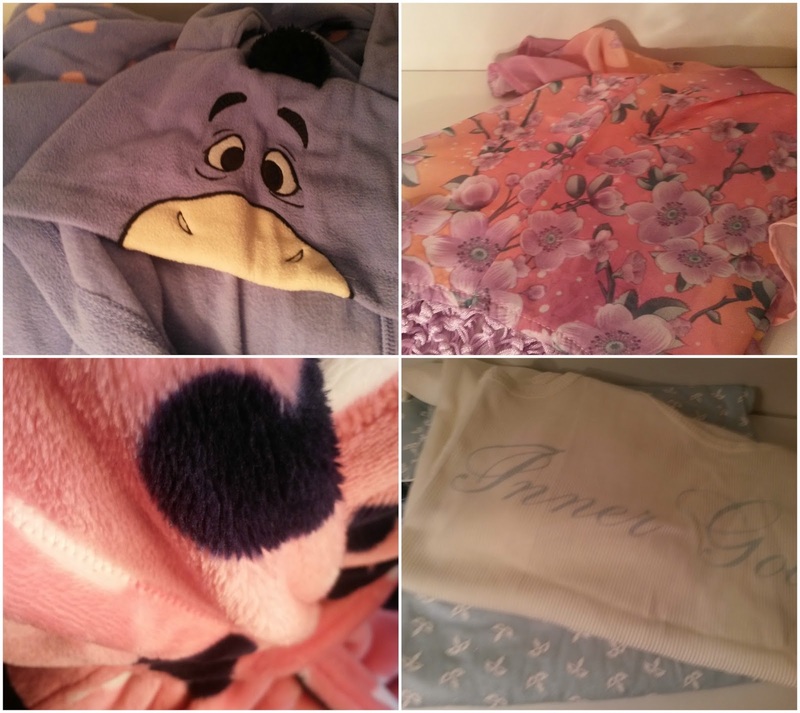 I got all these off of my boyfriend/children. Just look at all the colour... I did choose all of these except the New York tee. I am kind of obsessed with New York, you know, the place I've never been, yet, I will one day I assure you, and this top was chose by my Mum, for me, on behalf of my brother. It's very much outside my comfort zone but I'm willing to give it a try. It's quite sheer so I was bought a black top to go underneath too. Both tops at the top were from H&M (off boyfriend and children). Tunic style top in the bottom left hand corner is from Apricot at New Look (off mum and step-dad). The exciting part, my obsession with New York continues with this beautiful 'statue of liberty' charm from Pandora, I almost cried when I got this. I also got this beautiful necklace from Warren James, it's so gorgeous, and really great bargain. These were both boyfriend and children. Along with my book geekness, I'm also a movie geek too. I love, love film, soaps, you name it. I had a bigger list then what is shown of what I'd like but cut it down and I got all the one's I really, really wanted plus 2 more from the list. 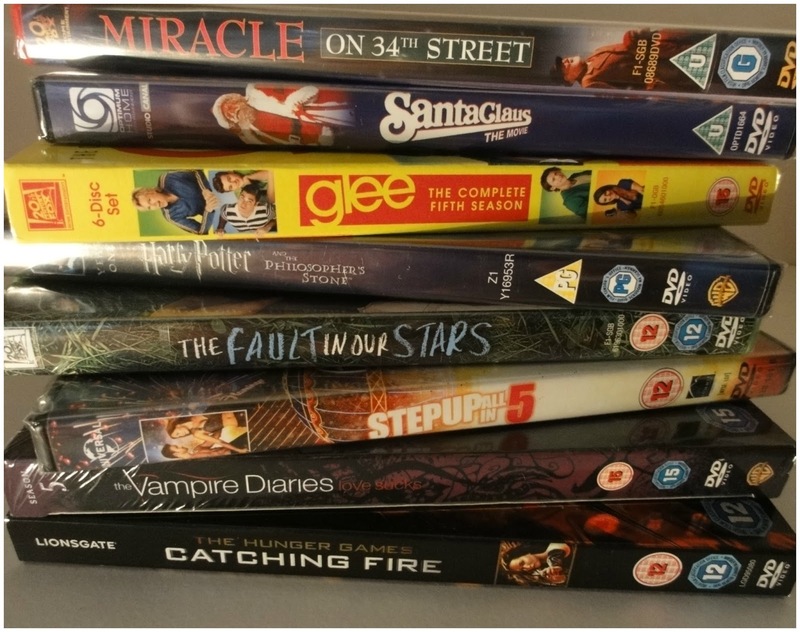 Christmas films were off my brother. Glee boxset off my boyfriends auntie. Harry Potter (my son lost my other), The fault in our stars, The Vampire Diaries and Catching Fire were off of my boyfriend and children. Step up was off of my boyfriends parents. 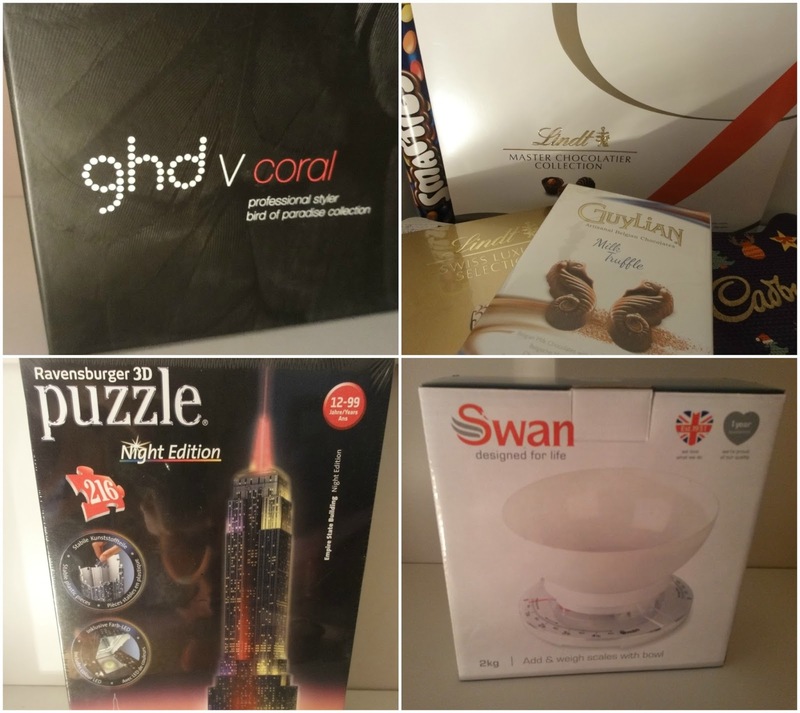 I'm such a lucky, lucky girl, I got money and sweets which I didn't photograph, and feel very overwhelmed by the generosity of my loved ones and my boyfriends family. We all did... I can't wait to read all your Christmas posts, feel free to link me in the comments section if you've already wrote yours. I hope you enjoyed this post. 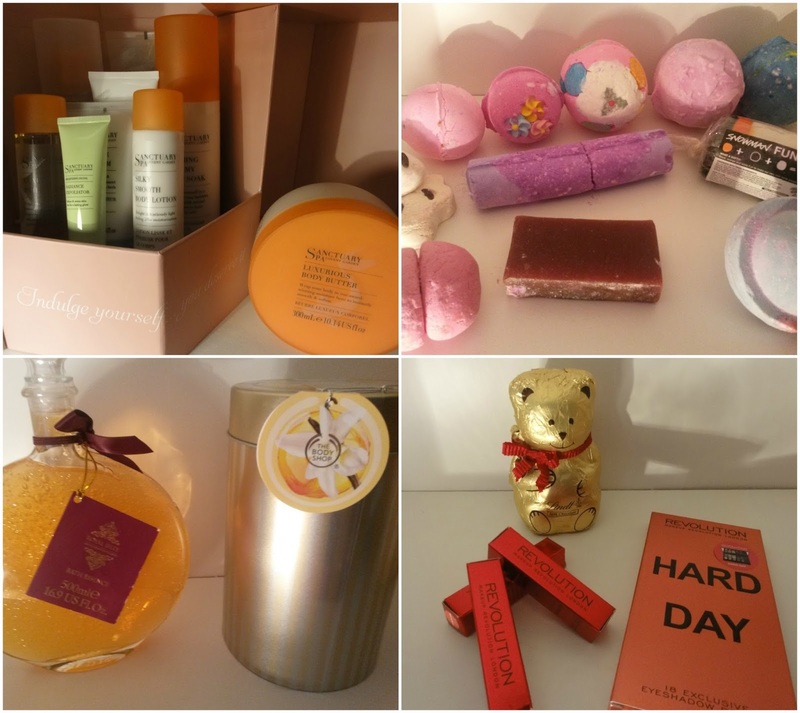 I have one last Blogmas post, my beauty advent calendar, it'll be up in the next few days. 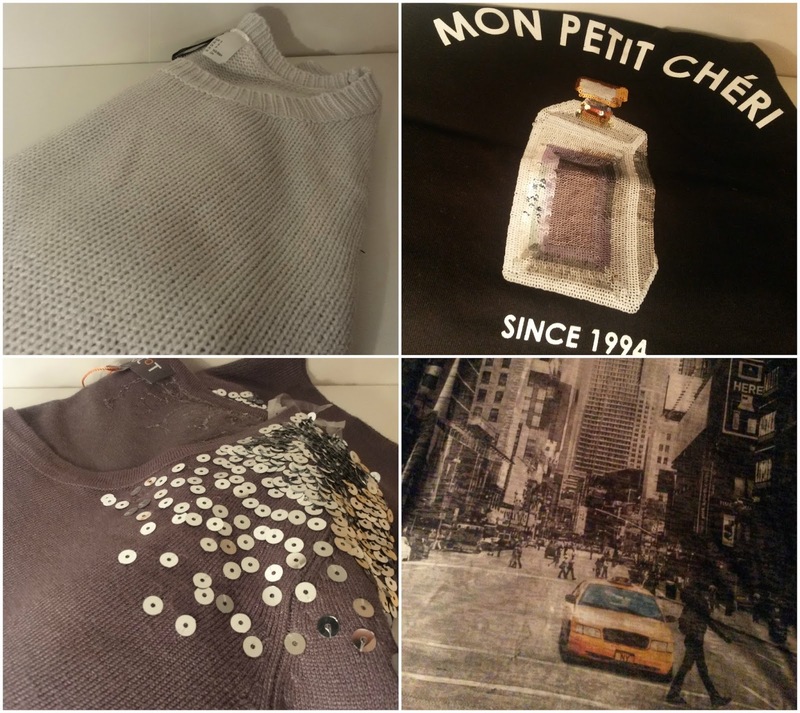 I have a sales / normal haul coming next week too. Lovely photos! I'm glad you had a nice day :) Have a lovely 2015! You got some lovely gifts! I'm quite jealous that you have The Sims 4 ahaha, I really wanna play it. Hope you manage to get you laptop/charger sorted soon! Lovely presents! 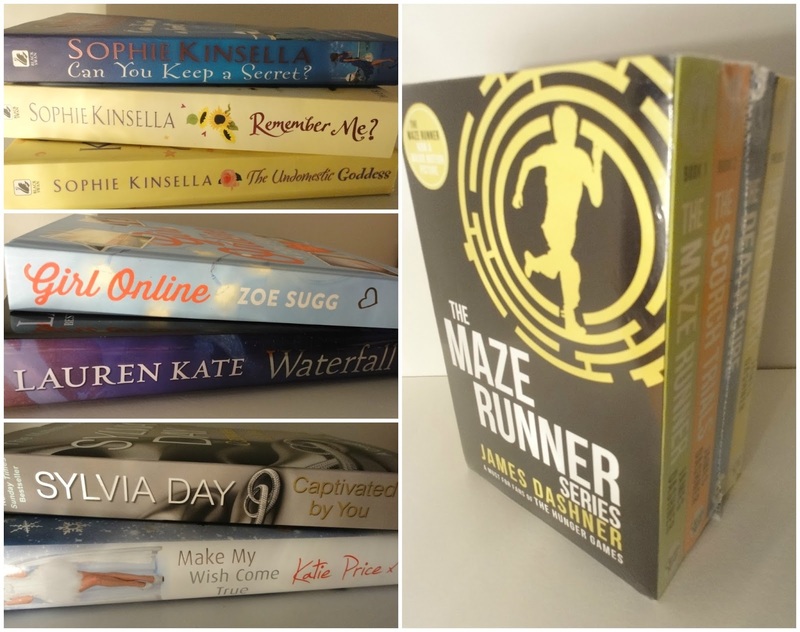 The Maze Runner series is one of my favourites, you'll definitely enjoy reading them!